If you love to play the latest Halo 5: Guardians, then you might be willing to get your hands on Master Chief’s Needler. 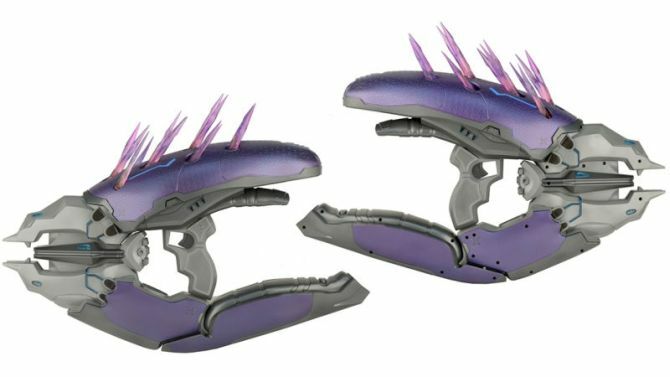 NECA Toys wants you to experience the same, so the company has create Halo Needler gun replica for the fanatics. Unlike a cosplay toy for kids, this one is more of an adult collectible with highly detailed structure and motorized pointy crystal shards sticking out of the top. In collaboration with Microsoft and 343 Studios, the stunning Spartan-sized replica of Halo‘s Needler is crafted using actual 3D models from the game. The special thing about this covenant weapon is that it can retract its protruding needles as soon as you pull the trigger. Moreover, these can be reloaded at click of a button. This Halo game weapon is also integrated with sound effects and lights to intensify its video gaming appeal. 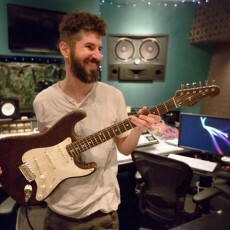 While those crystals shards are used to power the gun in the video game, but this life-sized toy gun runs on a set of four C-cell batteries to power its lights, sound effects and movement. 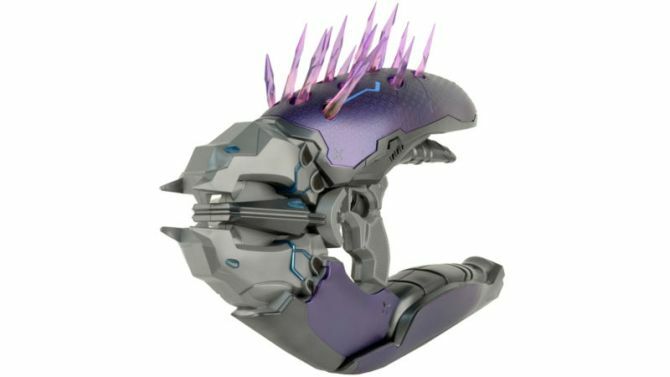 There are plenty of cosplay replicas from this online game, but Needler’s mechanized aspect is special and definitely a conversational piece. Looking like a life-sized pair of pliers featuring purple arms and silver accents, the limited edition Needler replica is available for $300. For a mere cosplay toy, the asking price seems unnecessarily expensive. But for die-hard Halo fans it’s totally a dream come true and a must have accessory.